We believe Home is the most important part of our lives. It is where our family and our friends come together. Our goal is to create a home that reflects who you are and how you want to live. 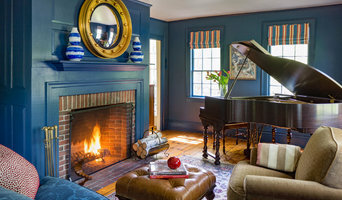 For 30+ years, Hamilburg Interiors has illuminated the Boston design scene by staying timeless. 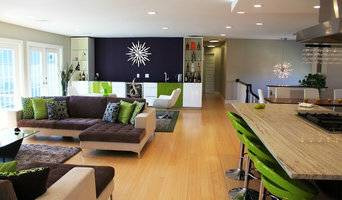 Hamilburg Interiors offers its clients full scale design services from blue print to art installation. As a proud New England Chapter board member of ASID (The American Society of Interior Designers), my work has been featured in various sites and articles. And when you check out my projects and reviews you will see that I love designing spaces that are eye-catching and functional and fit the personality of my client. Having someone walk into a room I designed and smile with excitement is what I love the most about what I do and I am thrilled when I have happy clients. I'm happy to work with you on a interior design project for any room in the home! I am a residential interior designer specializing in working with the client through the complete construction project to designing one room. At Fresh Start Interiors, I make it easy to embrace change. I believe you should love where you live and have a home that is comfortable, beautiful and functional - I'm here to help! nest + company is inspired by high + low, modern + vintage, small moments + large gestures. My designs mix individual style with classic notes and a good dose of the unexpected. Jill creates environments that are a unique expression of her clients: one that reflects their personal style & preferences, while infusing it with her own well-honed taste & sense of energy. We work directly with architects and contractors to provide full service interior design expertise. We guide clients through the design process to insure unique and brilliant results. I live and breathe Interior Design. My passion for Interior Design is proven by staying current with the latest design trends, finishes and industry knowledge. Check out my work! Creating wonderful, livable, timeless spaces, collaborating with my clients to tailor their specific needs. 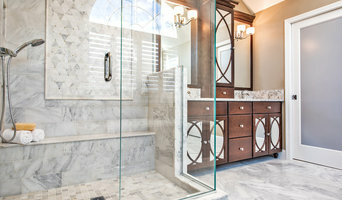 Designing your home to exceed your expectations is my ultimate goal. As a full-service interior design studio, Nina Kierulf Interiors handles all stages of the interior design process from schematics to final installation. The company is known for delivering sophisticated yet comfortable spaces, full of warmth and character. At Designs by Gia, we have just one goal; create a sanctuary, with you, your loved ones or your clientele at the center. We craft environments that cradle inspiration, allowing it to grow. Combining classic design with modern elements, Shari Pellows Interiors creates designs that incorporate & reflect the personality of her clients.